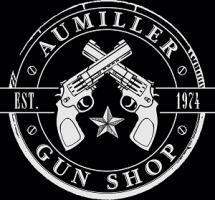 Aumiller Gun Shop – the best products at the best prices! If you are not satisfied with your purchase, please contact us for a Return Merchandise Authorization (RMA) request within 10 business days of the receipt of the product. If the item is returned unopened in the original box, we will exchange it, offer you store credit, or offer you a refund, less 10% restocking fee, based on your original method of payment. The product must be returned within 10 business days of the issuance of the RMA. All products must be packed in the original packaging, including any accessories, manuals, documentation and registration that shipped with the product. A 15% open box fee in addition to the 10% restocking fee (totaling 25%) will be assessed on any sealed product that is opened or removed from its original packaging. 3. NFA items that require ATF Transfer after the start of paperwork. 4. Illumination devices, electronic sights, optics and night vision equipment. Other items available for sale not listed on this website include discontinued parts or parts for firearms no longer produced. Please contact us if you have any questions regarding parts for firearms no longer produced (such as Vietnam era upper receiver units, obsolete fire control parts, etc.). All items on this website are subject to change without notice. This includes item availability, one-of-a-kind items, and pricing. The seller provides all descriptions for used items. All descriptions for used items are honest and based on actual items being offered for sale. Items being sold in this manner will be marked as such. All sales on used items are final. Photos will be provided when available. All machine guns are considered used unless otherwise noted. All firearms, magazines, receivers and restricted law enforcement items are sold and shipped in accordance with all existing federal, state and local laws and regulations. Firearms will ONLY be shipped to licensed FFL dealers. Many of the firearms, magazines and parts for sale on this website may be restricted or prohibited in your area. Please check your local and state regulations before ordering. If you encounter any problems with your order or the checkout process, or if you have any questions about the status of your order, simply contact our customer service staff through our Contact Us page. The Credit Card Billing Information, Shipping Information, and Contact Information in our checkout process are required in order to process your order and deliver the product to you. We store some information for accounting reasons. Your information will not be shown to third parties not involved in the transaction, nor used to send you any unrequested information. The entire Checkout process is handled through a secure SSL-encrypted connection. The Credit Card Billing Information is sent directly to our payment provider who processes your credit card transaction. The credit card information is neither recorded nor stored by us, and it can only be accessed by our payment provider. Each transaction has a very high level of security. Your credit card details are sent directly to the payment provider over a secure SSL-encrypted connection. They are not processed on our servers at any stage of the transaction, nor are they stored on our server. All information collected during the checkout process is transmitted via industry standard Secure Sockets Layer (SSL) featuring 128-bit encryption. A Secure Sockets Layer (SSL) Certificate creates an encrypted link between a Web site and a visitor's Web browser. This link ensures that all data passed between the Web site and the browser remains private and secure. All orders are shipped promptly from our warehouse or in-store inventory within 3 - 10 business days using UPS, FedEx, or USPS. Tracking numbers are available for items shipped via UPS and FedEx. Our online inventory changes every day. Occasionally an item may appear on the site by mistake or the item's description may contain a typographical error. We do not guarantee that titles, descriptions, pictures or prices on our site are error-free. We reserve the right to refuse any order including but not limited to orders for items with errors in the description or price. In the event that we cancel an order we will not charge the customer's credit card or we will refund the money. If an item's description contains an error such as incorrect price and a customer makes the order, we will not process the order without first contacting the customer. If the order is mistakenly shipped, we may advise the customer to return the item in an unopened condition and we will refund the customer. By placing an order, the customer agrees that seller will be the final arbiter of discrepancies in the online catalog. We charge a receiving/background check fee of $35.00 for standard non- NFA transfers. We charge a non-negotiable $100 blind transfer fee to release an item for which the transfer was not pre-paid. Please call ahead or stop by and pre-pay for any transfer coming our way. All items not paid will be sent back at original owners/original FFL expense. What is a blind transfer? Any item for which we have zero pre-payment for an item going on our log books. Please, we don't send mail to your house without telling you, don't send your mail to ours without telling us. All NFA transfers will be charged a fee of $100 for any Machine Gun, Suppressor/Silencer, AOW (Any Other Weapon), Destructive Device, and Short Barreled Rifle. AMMUNITION sales are FINAL - Returns cannot be accepted for ammunition. All Transferable Machine Guns are shipped for a flat fee of $95.00 via FedEx Ground to a licensed Class 3 Dealer of your choice. All other firearms and suppressors are shipped for a flat fee of $25.00 via UPS Ground. Your dealer will send us the proper paperwork for this first transfer, we prepare and fax the Form 3 transfer to BATF immediately, and then once the transfer clears BATF we ship the gun to your dealer. You're in-state dealer then prepares Form 4 paperwork, which you will sign and also have signed by the Chief Law Enforcement Officer in your locale (Sheriff, Chief of Police, State Police Chief, etc... only need for one to sign). You return the completed Form 4's to the in-state dealer, along with (2) passport size photos, (2) fingerprint cards, (1) citizenship authorization, and a transfer tax check made payable to Bureau of Alcohol, Tobacco and Firearms for the onetime per item transfer tax. A $200.00 transfer tax applies to Short BBL Shotguns, Short BBL Rifles, Machine Guns and Suppressors; a $5.00 transfer tax applies to items classified as Any Other Weapons - "AOW". This paperwork is mailed to BATF and when this transfer clears you go pick up your gun. We email/contact our customers each step of the way, so you will know when your gun arrives in state and the next transfer, from your dealer to you, can begin.